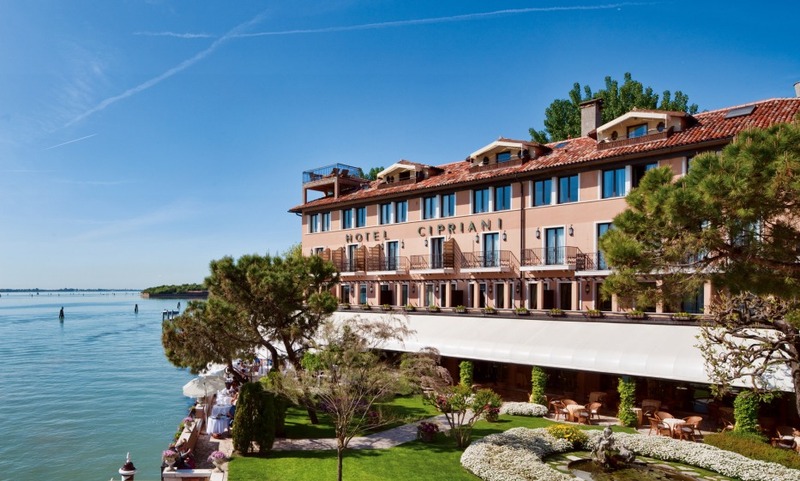 Set on the beautiful Giudecca Island, the Belmond Hotel Cipriani was dreamed up in the same era that gave the world romantic films like the Roman Holiday and Summertime. The appeal of it..the allure, the charisma, everything shouts Hollywood glamour and it’s a magnet for movie stars and A-Listers. Away from the ceaseless hustle and bustle of central Venice, soak up the romance here...of rooms bedecked with Venetian-style furnishings, of the Casanova Gardens where famed author Giacomo Casanova once wooed his lovers, and where the vistas of Venice are so picture-perfect you’ll pinch yourself to make sure you’re not dreaming. For those looking for relaxation after a day of visit, take advantage of the only heated Olympic-size swimming pool in central Venice. The stunning Casanova Gardens is a fantastic place to enjoy relaxing Tai Chi lessons. Enjoy the proximity to St Mark's square with the hotel's 24-hour complimentary boat service. Complimentary shuttle to and from St. Mark's 24/7 at a schedule. Location is nice as it is away from the crowded touristic center of Venice. The hotel boat shuttle service to St Marco Square is very useful. All in all, we had a great time and would love to return again for the future. The concierge supported us perfectly in planning to visit Murano and the glass factory. The transportation offered was time saving and other suggestions on visiting spots were also helpful. The hotel was always quiet,clean and relaxing and all the staffs were friendly, and professional . We could relax ourselves every night after getting tired from visiting the city. We will definitely come back to Cipriani next time. Always one of my best hotels. A small disappointment; the breakfast buffet has become quite modest compared to 3 years ago. The quality of bread was not up to par.